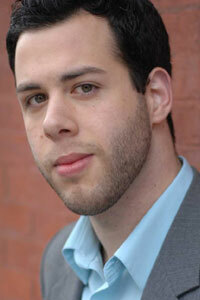 Ari Frenkel is a graduate of Montclair State University with his BFA in acting. Since graduating he has performed in several regional theaters including the Mt. Washington Valley Theatre Company, NJPAC, The Theatre Barn, and the Armory Dinner Theater. He has been in several short films, Law and Order: SVU and an ESPN commercial. In 2008 he won the Kennedy Center American College Theatre Festival Irene Ryan Acting Competition both regionally and nationally. To learn more about Ari please visit www.arifrenkel.com. He is confident that you will enjoy StrangeDog. and all we have to offer.